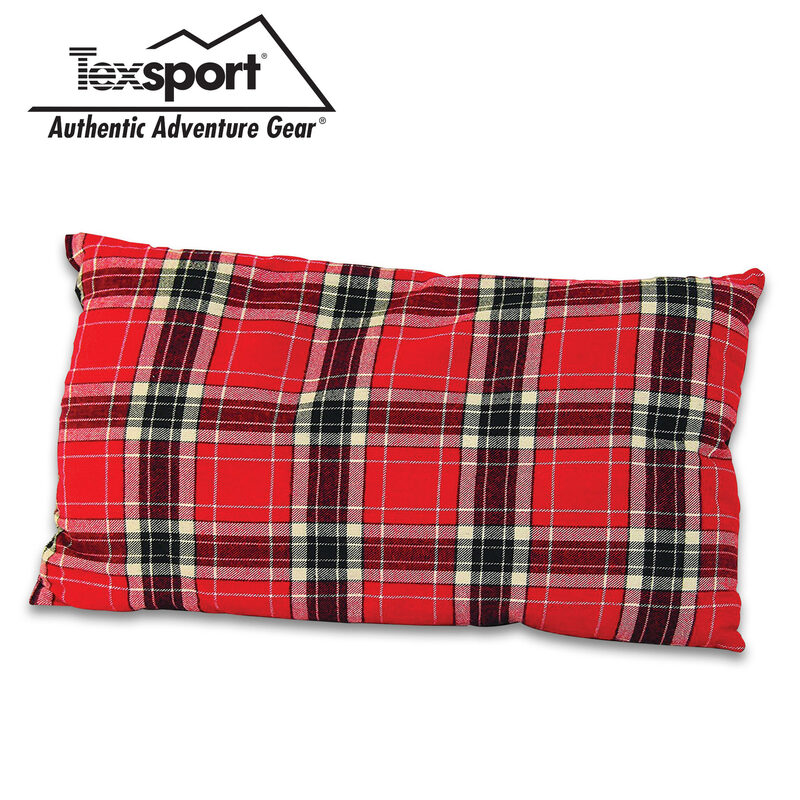 Red Plaid Travel Camp Pillow And Storage Bag - Cotton Flannel, Polyester Insulation, Machine Washable - 10"x 20" | BUDK.com - Knives & Swords At The Lowest Prices! Red Plaid Travel Camp Pillow And Storage Bag - Cotton Flannel, Polyester Insulation, Machine Washable - 10"x 20"
A nylon carry/storage bag is included, and the pillow is 10"x 20"
Just because you’re camping doesn’t mean you have to completely rough it when it comes to laying your head down in the tent at night. Make sure you lay it down on something that will ensure you have a restful night’s sleep! Our Red Plaid Travel Camp Pillow is made of soft cotton flannel and filled with 5 oz polyester insulation, so that it’s nice and comfy. This 10” x 20” camp pillow is completely machine washable and a nylon storage bag is included. Trailblazer Waterproof Camping Blanket - 250D Ripstop Polyester - Polar Fleece - Polyurethane Coating - 58" x 84"